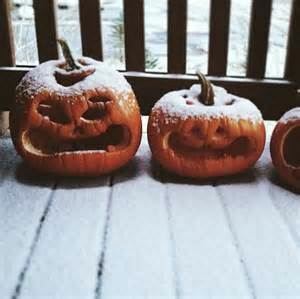 Today, as the snow falls onto the neighbourhood jack-o-lanterns, I see a perfect picture prompt. Halloween is a motivating day to write (with or without the snow)! Kindergarten students can draw and label their costumes. Older students can engage in some descriptive writing or a story. For a freewrite prompt today, try one of these: “On Halloween…” or “Today I see…” (especially if students are already in costume). Put on some spooky music and write! This entry was posted in Uncategorized on October 31, 2017 by kfilewych. Recently, as I was teaching students about the importance of reading and writing, I shared the story of a parent who came into my office one day many years ago in tears. On that day, this parent told me a secret. I’ve shared this story with many children in many classrooms over the years. And always, when I ask the students what secret she might have told me (and I explain that it’s connected to what we’ve just been talking about), there are many guesses before they hit on the actual answer, if they ever do. I watch their faces as they begin to understand what I’m telling them. The idea that an adult, a mom, could be illiterate is beyond comprehension for most of our kids. They take literacy for granted, and perhaps rightly so, given their experience. But I ask them to predict the feelings that would be associated with illiteracy. I also ask them to imagine every day situations without the ability to read and write: buying groceries for a child with allergies, reading a menu in a restaurant, trying to help a child with homework, or filling out a job application. This entry was posted in Uncategorized on October 27, 2017 by kfilewych. Yesterday was municipal election day in Alberta: an opportunity to have our voices heard. Our voices matter not only in an election but in our daily interactions. Words of support. Words of encouragement. Words of protest. Words in defence of another. Words of solidarity. Words of hope. If you have ever wondered if one person, one voice, can make a difference, consider this group of people: Mahatma Ghandi, Winston Churchill, Nelson Mandela, Rosa Parks, Mother Teresa, John F. Kennedy, Martin Luther King Jr. and Malala Yousafzai. This entry was posted in Uncategorized on October 17, 2017 by kfilewych. In my new role – leading student writing residencies – I had the pleasure of working in three schools last week. It has become quite obvious that kids are kids wherever we are! Sure, individual personalities are unique and group dynamics distinct; however, the tendencies are the same. 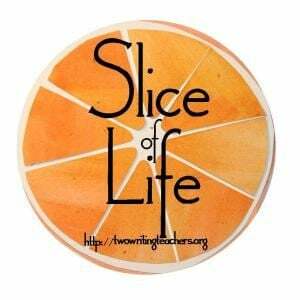 Each class has the intent listeners, the social butterflies, the compassionate kids, the deep thinkers, the complimentary kids, and of course, those-who-would-talk-all-day-if-we-let-them kids! I am so thankful for the opportunity to teach my passion to children: I delight in their authentic, enthusiastic and joyful nature. This entry was posted in Uncategorized on October 10, 2017 by kfilewych. My heart is heavy. After watching the news yesterday, I went in search of a book to read. My plan was to have a bath and escape the reality of world events for a time. I pulled a favourite author off the shelf, Rex Stout: one of his books that I’ve read many times over. I was comforted by the familiarity of the characters, their banter, and the old brownstone in which they live and work. I often speak to the power of words and yesterday I proved to myself their power in my own life: I sought to read and write, both, for comfort. This week is Read In Week in Edmonton: a week long event designed to celebrate reading and bring awareness to the importance of literacy. A variety of community members – parents, grandparents, media personalities, politicians, artists and athletes – are invited to read in classrooms throughout the city. As teachers, we rarely need an excuse to read a good book. We know they have the power to transform lives: to entertain, inform, uplift and inspire. Books make us laugh and cry. They provoke thought, spark conversation and spur ideas. And yesterday, I was reminded of the escape they can provide on difficult days. Today, as a guest reader at my former school, I look forward to reading A Perfect Day by Lane Smith and Peddles by Elizabeth Rose Stanton to several classes of Kindergarten, grades 1 and 2. I’ve chosen The Fantastic Flying Books of Mr. Morris Lessmore for the grades 3 to 6 classes – always a fun choice in celebration of books! In these days of confusion and despair, let us be distracted by a good book. Let us find love in the world and hope in each other. This entry was posted in Uncategorized on October 3, 2017 by kfilewych.